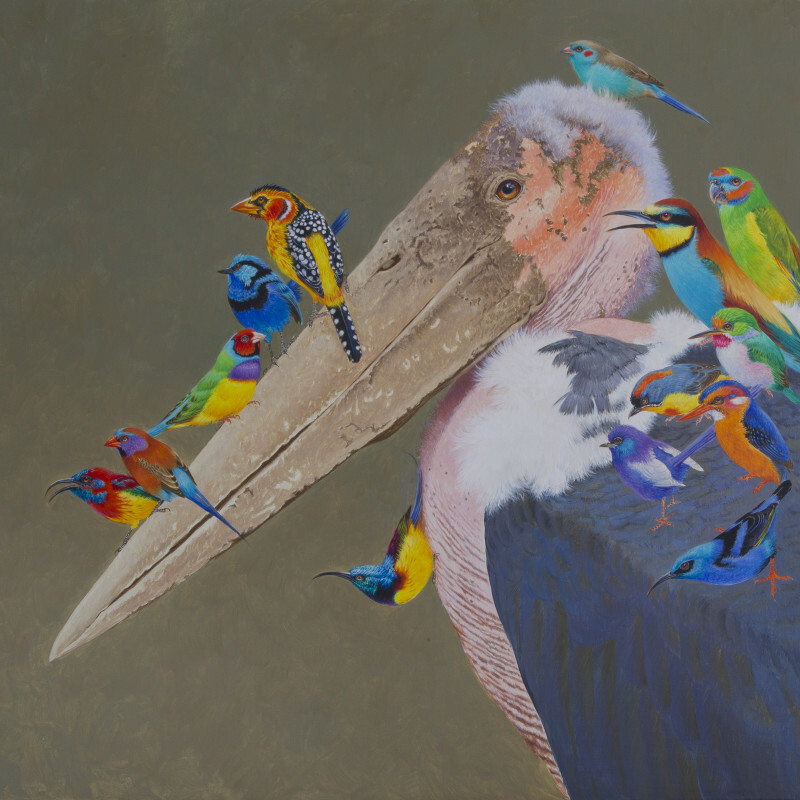 Kerr is best known for his bird paintings, though, and particularly for producing highly detailed, anatomically accurate paintings of exotic birds in glowing, jewel-like colours. The result is a unique kind of realism that often seems paradoxically dreamlike in its vividness. He has made numerous research trips; these have included a return to the Amazon, as well as to the Kalahari desert and the Middle East. He has been involved in conservation, with commissions from the World Wildlife Fund and the sustainable wood fibre company Sappi (he produced twelve paintings for their 1990 'Kingfishers and Bee Eaters of South Africa' project). Based in Norfolk, Kerr is a founder member of the Norfolk Guild of Norwich Painters and has worked with the Norfolk Naturalists' Trust. He has illustrated three field guides on the birds of North America and has exhibited in both the United States and South Africa. He has been represented by the Tryon since the 1980s, where he has held regular successful solo exhibitions.